ThisLower Tailgate Opening Trim w/ Reflectors is used, but is in good working condition and was tested prior to removal. This part was pulled from a 2005BMW X5 3.0i. THIS PART IS BEING SOLD AS IS. WHAT YOU SEE IN THE PHOTOS IS WHAT YOU WILL RECEIVE. ThisTailgate Lock Latch Mount Bracket W/ Lock Motor is used, but is in good working condition and was tested prior to removal. This part was pulled from a 2005BMW X5 3.0i. THIS PART IS BEING SOLD AS IS. DONOR CAR: 2005 BMW X5 (E53). Our parts are used auto parts professionally pulled from quality vehicles. We are not responsible for incompatible parts from model to model or year to year. FREE SHIPPING! - See Description for Freight details! 2 Lift Supports. Notes : Kit components - 2 Lift Supports. 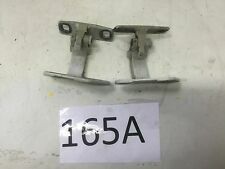 OE comparable hood lift support. Notes Sport Utility, Location : Hood (Driver and Passenger Side). APA/URO PARTS LIFT SUPPORT SET. 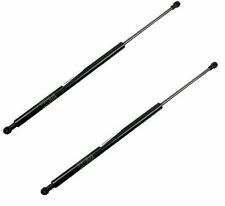 "APA/URO Parts Lift Support --. This part was pulled from a 2005BMW X5 3.0i. ThisLower Tailgate Shell is used, but is in good working condition and was tested prior to removal. THIS PART IS BEING SOLD AS IS. DO NOT go by this compatibility chart alone. With lift cylinders. - with tail lights. 1 x Full HD Car DVR. 【Super Clear Night Vision】With an excellent performance in night with WDR. One key lock the file. Allowing for fully automatic and continuous playback. 1 minute, 3 minutes and 5 minutes modes. "Stabilus Lift Support --. 2 Lift Supports. Notes : Kit components - 2 Lift Supports. Notes Sport Utility, Location : Hood (Driver and Passenger Side). Type : Hood. Quantity sold : Set of 2. Wide selection of lengths and mounting styles available to suit your needs ". This part was pulled from a 2005 BMW X5 3.0i. ThisTailgate Lift Struts Pair is used, but is in good working condition and was tested prior to removal. THIS PART IS BEING SOLD AS IS. DO NOT go by this compatibility chart alone. 2000 BMW X5. 2001 BMW X5. 2002 BMW X5. 2003 BMW X5. 2005 BMW X5. 2004 BMW X5. 2006 BMW X5. Ensure Proper FitTo confirm that this part fits your vehicle, enter your vehicle's Year, Make, Model, Trim and Engine in the Compatibility Table. 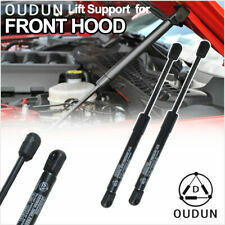 "Stabilus Lift Support --. Notes Sport Utility, Location : Liftgate glass (Driver and Passenger Side). Type : Liftgate glass. 2 Lift Supports. Notes : Kit components - 2 Lift Supports. Quantity sold : Set of 2. Includes:Tailgate (Trunk) Lock (Latch), Plug, trunk releaseCable and mounting hardware. BMW X5 2000 through 2006 Without Power Lift-Gate (Without Automatic up/down Tailgate). -This Tailgate lock (Latch) fits. Notes Location : Liftgate glass (Driver or Passenger Side). Type : Liftgate glass. Therefore all implied warranties that may apply to your part are limited to the duration of this written warranty. Each warranty gives you specific rights, and you may have other rights which vary from state to state. 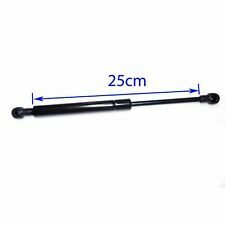 Specification: BMW X5 00-06 Trunk Lift Support. 2001-2006 BMW X5 3.0i 6Cyl 3.0L. 2000-2006 BMW X5 4.4i 8Cyl 4.4L. 2002-2003 BMW X5 4.6is 8Cyl 4.6L. 2004-2006 BMW X5 4.8is 8Cyl 4.8L. As any used part this has a couple small blemishes. Fits 2000 to 2006 X5. U sed BMW Rear Spoiler OEM. Stroke length; 7.88 in. compressed length; 11.38 in. extended length; 0.75 in. Type : Hood. Product fit : Direct Fit. Under NO circumstances will our liability exceed the amount of the original sale. USED BMW X5. 2001 BMW X5 4.4L. TAILGATE LOWER PANEL IN SILVER. THIS IS A GENUINE BMW PART. RICHARD AT. Notes: Hatch Lock. 2003 BMW X5 3.0i. 2004 BMW X5 3.0i. 2004 BMW X5 4.4i. 2004 BMW X5 4.8is. 2005 BMW X5. 2006 BMW X5. Position: Upper. BMW OEM REAR HATCH SPOILER IN GREAT CONDITION. Part 51717025612 was found on the following vehicles. Removed from a 2005 BMW X5. Item is an OEM part and may have visible wear from normal use. 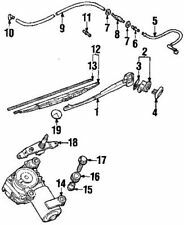 BMWX5 04-06 lower. Provide any details of your claims process to Highline Auto Parts. We reserve the right to replace failed parts with equal to or greater than original mileage parts. 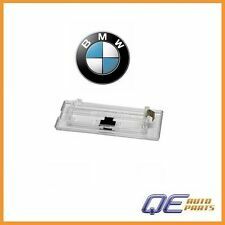 WILL FIT 2000-2006 BMW X5 E53 CARS. DONOR VEHICLE: 2001 BMW X5 3.0L. E53 AWD. TAILGATE REAR WINDSHIELD GLASS. All of our parts are marked with a UV marker. This is to make sure we are receiving our item back. We understand you may not be satisfied with our item and we are here to help. BMW OEM REAR TAIL GATE GREY PLASTIC TRIM PIECE IN GREAT OVERALL CONDITION. Part 51498266639 was found on the following vehicles. REMOVED FROM 2003 BMW X5 3.0.